Furnace filters, also known as air filters, are necessary components that not only keep your home’s air clean, but also help extend the life of your furnace. However, homeowners have a lot of questions about them, such as how to replace an air filter, which filter they should buy, and more. 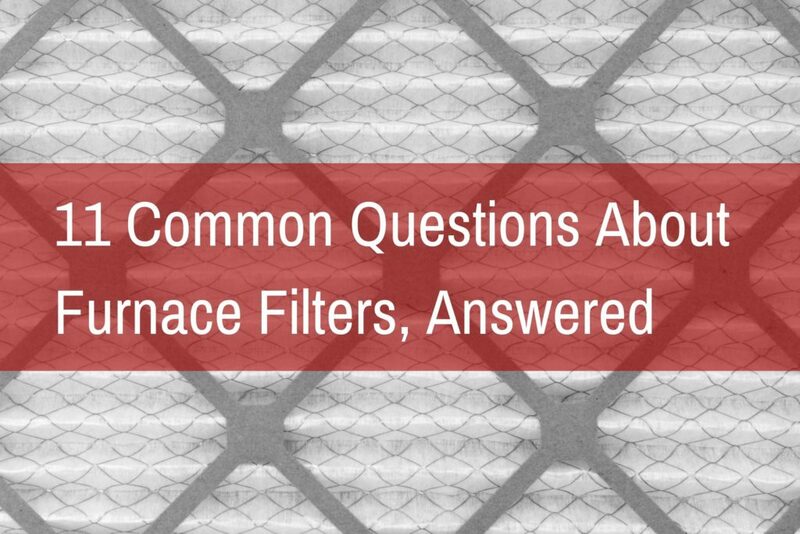 While the concept of a furnace filter may seem simple, in practice it can be a little confusing. Having worked with home heating and cooling systems for over a century, we’ve seen many furnaces suffer from common filter mistakes. To help you avoid those mistakes, we’re answering the most commonly asked questions homeowners have about furnace filter maintenance, installation, and utility. 1. Will a furnace run without a filter? Yes, but it will absolutely damage your furnace in the process. Without an air filter, more dust and debris will make it to the core components of your heating system, causing damage to your coils, blower motor, and more. In addition, without an air filter, your furnace won’t be running efficiently, causing your heating bill to soar. 2. Are furnace filters necessary? If you want to have an efficient furnace that lives a good life and doesn’t cause your heating bill to skyrocket, air filters are 100% necessary. Filters are important furnace and air conditioner parts as they help keep the rest of the system clean. Dirty furnaces and air conditioners caused by a lack of air filter ultimately have to work harder to get the job done, using up more energy and potentially damaging parts like the heating coils or igniter. 3. Are furnace filters the same as air conditioning filters? Yes. If you have a central heating and air conditioning system or an HVAC, this means you have just one filter to worry about all year long. However, if you have separate heating and cooling systems, your furnace and air conditioner may require different filters. In terms of function, there is no difference between the two as they’re both designed to serve the same purpose: protect your system from harmful air particles and improve air quality. 4. Are furnace filters universal? Because furnace and HVAC manufacturers have different size slots for air filters, they are, unfortunately, not universal. This means you will have to find the right size air filter for your furnace as others will be too small or large to effectively clean the air stream of harmful particles. 5. Which furnace filter should I buy? Furnace filters are sold based on their size and efficiency. To check the size filter that you need, turn the system off and uninstall your current air filter. Then, look for the size labelled on the filter’s frame. This will tell you the size filter you should buy. As for the level of efficiency, filters will be labelled with numbers from 1 to 16. This is the filter’s minimum efficiency reporting value or MERV. The lower the number, the fewer particles the filter can trap. If you want a lower efficiency filter that is less expensive, a MERV 4 is the lowest you should go on the MERV scale. In our experience, most homeowners choose MERV 7 or MERV 8 filters as they’re a great value in terms of efficiency and price. But if you suffer from allergies, it’s worth it to upgrade to a MERV 11 or MERV 12 to have the fewest number of potential allergens in your home. 6. Who sells furnace filters? If it’s time to change your filter, most big box retail and home improvement stores will carry furnace filters. This includes the likes of Target, Walmart, Lowes, Home Depot, Menards, and others. 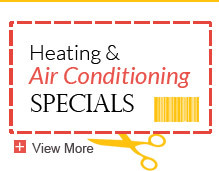 But if you have your regularly scheduled furnace maintenance appointment coming up, don’t run to the store. 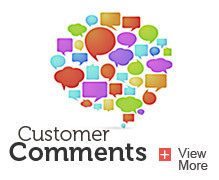 Your local heating and cooling expert should replace the filter for you during their visit. 7. When should furnace filters be changed? Not sure how often you should be changing or checking the furnace filter? If you have a pleated or high-efficiency furnace filter, it should be checked and changed once every three months for maximum efficiency and air quality. During periods of high use (e.g. winter for your furnace or summer for your AC), you should also visually inspect the filter each month in case heavy use caused your filter to clog up. Otherwise, your air filter should be changed on a monthly basis. After reading this, if you aren’t sure when you changed your air filter last, it’s definitely time to replace it with a new one. 8. Where do I change my furnace filter? 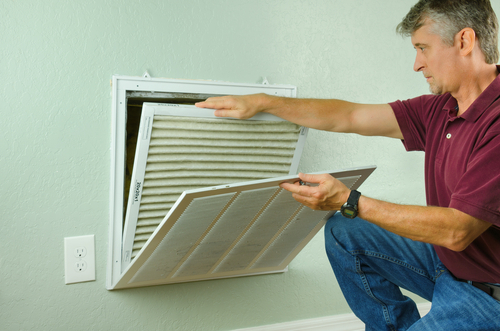 Depending on your HVAC system, the air filter can be hard to find. The most common location is in the return air duct or in the blower compartment as this allows the filter to clean the air before it reaches your unit. Other places you may find the air filter are in a slot above or below your HVAC unit, or right behind the return grills in your home (see picture below). 9. How do I install a furnace filter? 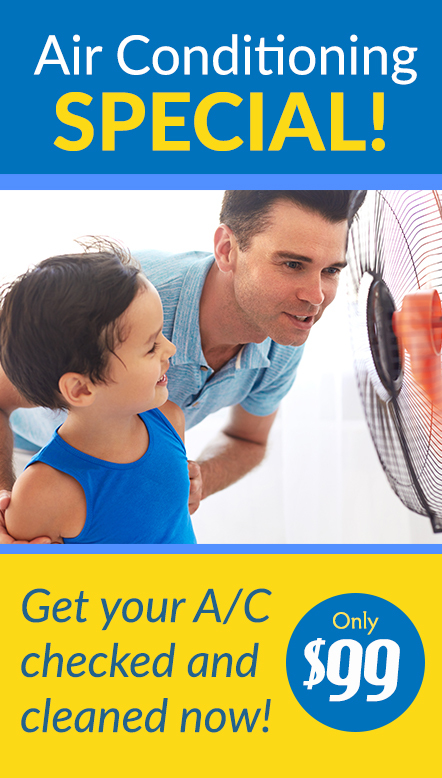 Step 1: Turn off the furnace or HVAC system. Step 2: Remove the filter by sliding it out of the slot. Step 3: Replace the filter by sliding a new, clean filter into the slot. If you have a reusable air filter, clean it, let it dry, and slide it back in. Once finished, you’re free to turn the system back on. 10. Are furnace filters recyclable? While the materials made to make a furnace filter are recyclable (e.g. paper and cardboard), it is not recommended that you recycle them. Why? Well, your dirty air filter is filled with dust, bacteria, and other particles that we don’t want others to be exposed to. Therefore, your safest option is to place them in the trash. That being said, there are reusable air filters that are available for use and are environmentally friendly. Their initial cost is a lot higher than their disposable counterparts, however, they can last for several years and won’t end up in a landfill. Instead of replacing these filters, they simply need to be washed regularly. 11. Can furnace filters be washed? Disposable furnace or air filters cannot be washed and should be thrown away after they’ve been used. However, as mentioned in the previous section, reusable air filters can and should be washed on a regular basis. To wash your reusable filter, take a microfiber cloth and begin removing the trapped dust and debris. A wet cloth can also be effective at cleaning the filter, however, make sure to let the filter completely dry before reinstalling it to avoid mold or mildew build up. Furnace filters are critical in extending the life of your furnace. For more ways to maximize your furnace’s lifespan, check out our DIY furnace maintenance guide.